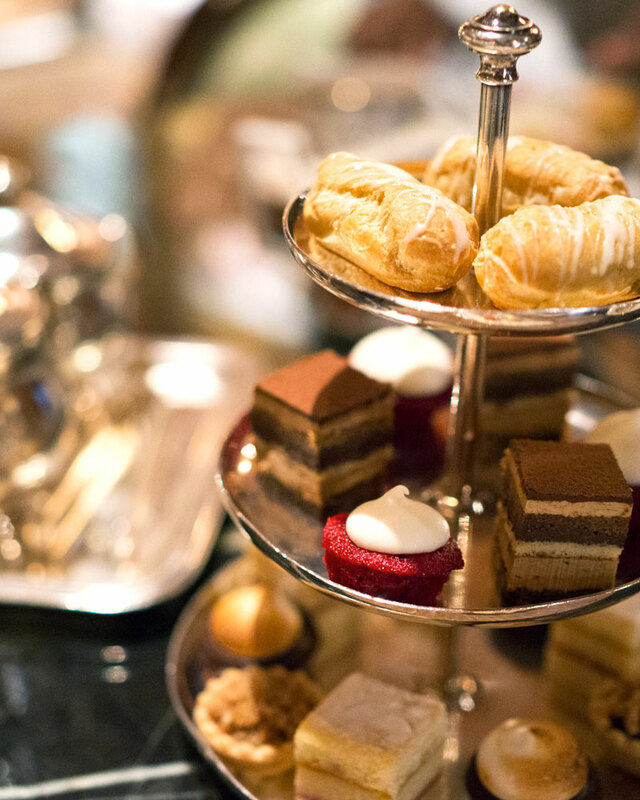 The Ritz-Carlton New York, Central Park serves a wonderful afternoon tea. This is my review of the Ritz-Carlton afternoon tea service from start to finish. The Ritz-Carlton is known for their luxury hotels with exceptional service. As soon as you walk through the doors it envelops you in opulence. 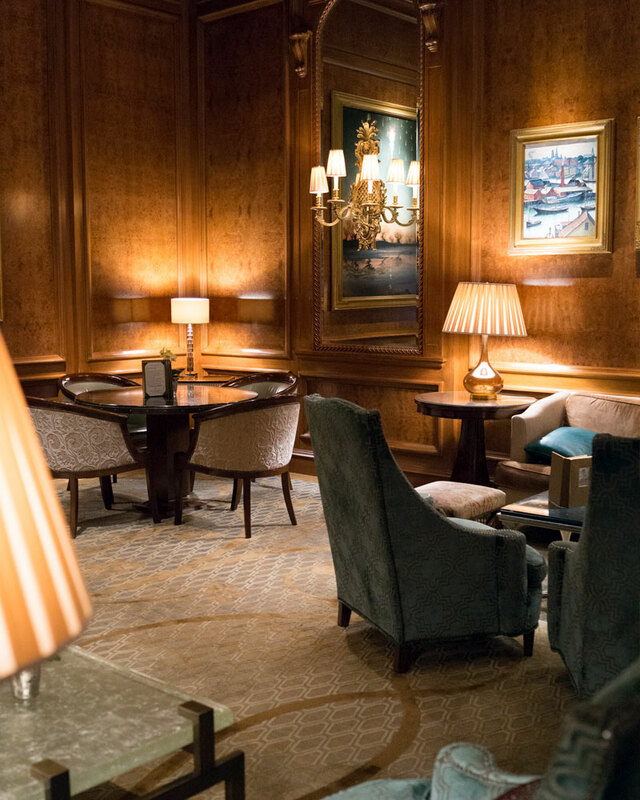 The Star Lounge is a space on the first floor of the hotel, next to the lobby, where afternoon tea is served. I would describe the decor of the Star Lounge as old money. With plush seating and dark wooden walls it’s a room right out of Downton Abbey. Afternoon tea is a set menu of tea and three courses of small bites. You don’t choose any of the food items listed because you get them all — the same as everyone else. You do, however, get to choose your tea. Everyone at your table orders their own afternoon tea and the cost listed is per person. 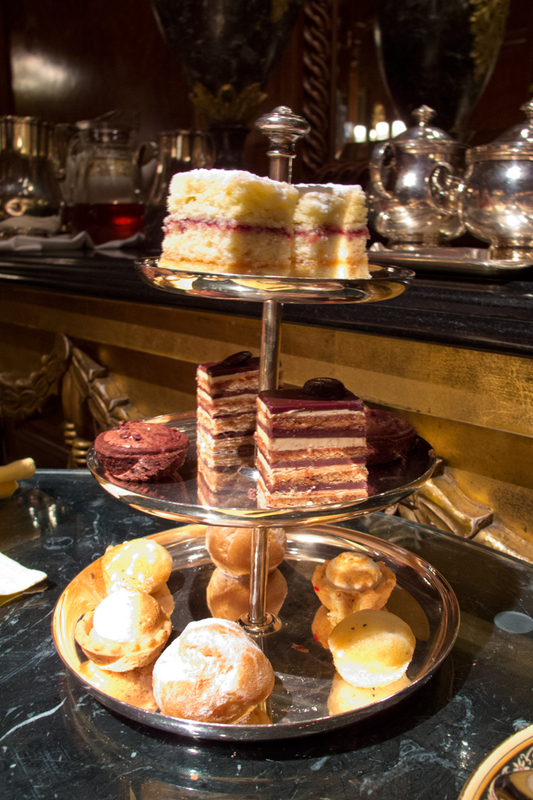 Does the Ritz-Carlton Have More Than One Kind of Afternoon Tea on the Menu? Technically, yes. 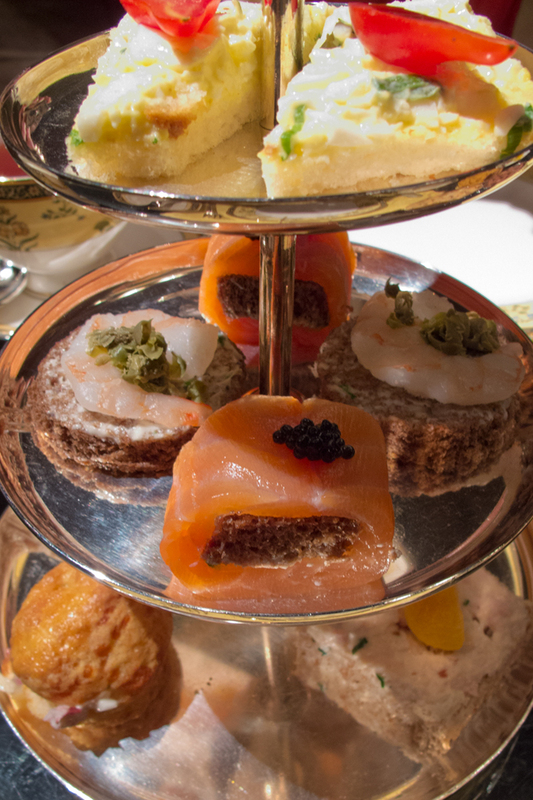 There is the traditional Afternoon Tea (changes seasonally and the one I always get), and the Enhanced Afternoon Tea, which is the traditional with a glass a Champagne. The food is exactly the same for both afternoon teas. How Much is Afternoon Tea at The Ritz-Carlton? 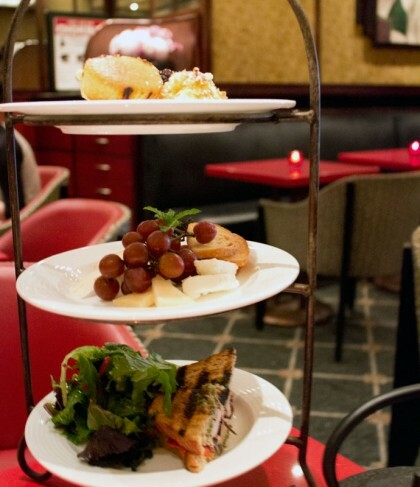 The seasonal Afternoon Tea is $65 per person. It comes with a pot of tea, assortment of tea sandwiches, homemade scones, and sweets. 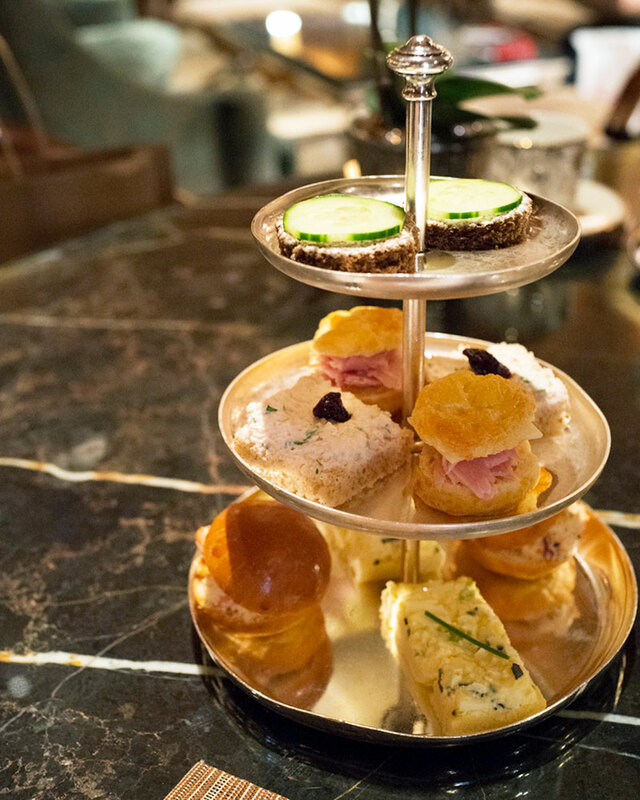 The Enhanced Afternoon Tea is $89 per person and it’s exactly the same as the seasonal afternoon tea, but upgraded with a glass of Champagne. Do I Need to Make a Reservation for Afternoon Tea at The Ritz-Carlton? Yes, reservations are required at least 24 hours in advance. If you have food allergies, it’s best to let them know when you make the reservation. What Do I Wear for Tea at The Ritz-Carlton? Dress code is sophisticated casual. Basically, you want to look neat and put together–you should dress up a bit. Please, absolutely no ripped jeans, t-shirts or sneakers. 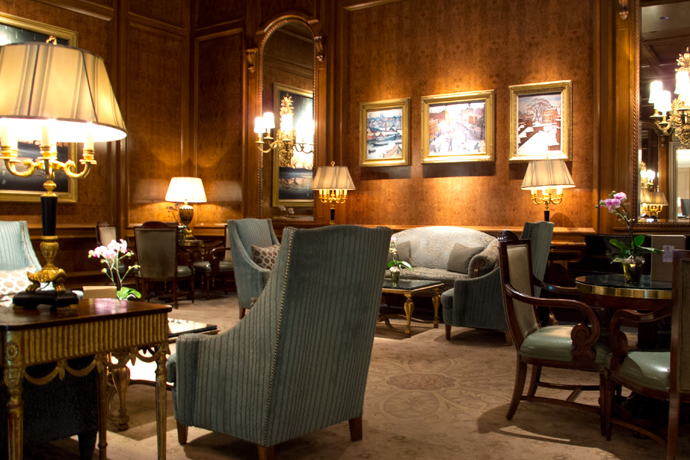 How Long is Afternoon Tea at the Ritz-Carlton New York? Afternoon tea is not something to be rushed through. On average, it lasts about two hours. It’s an occasional luxury so, please, take your time and enjoy it. What Time is Afternoon Tea at The Ritz-Carlton? 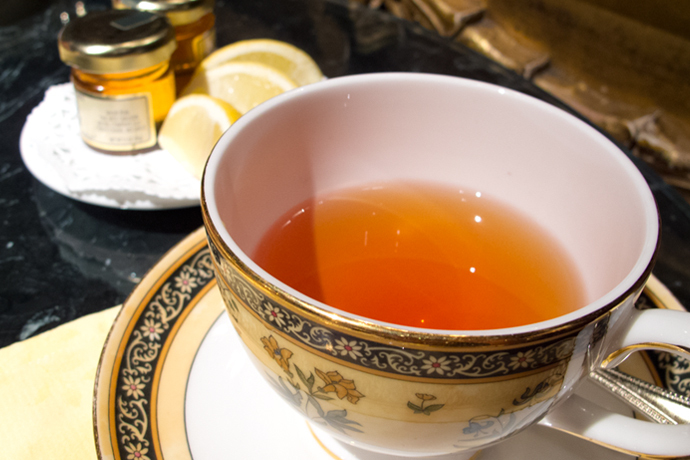 The Ritz-Carlton is going through a renovation so the tea service availability has been reduced. It use to be served daily, but it’s now only: Friday, Saturday, and Sunday from 2PM – 4PM. 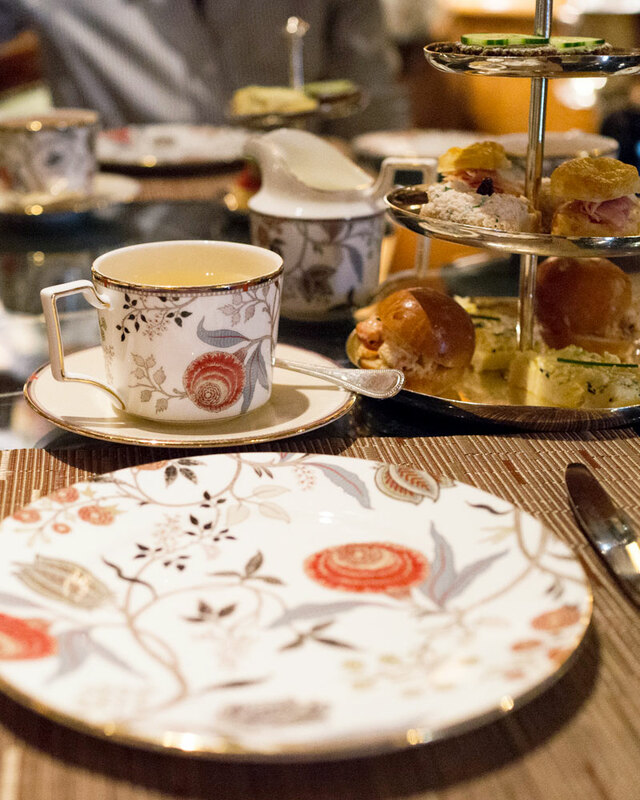 How Does Afternoon Tea at The Ritz-Carlton Work? Afternoon tea is a set meal consisting of three courses made up of tea sandwiches, scones, and sweets. A pot of tea is also included in the set meal price. Do you want Champagne with your afternoon tea? If yes, choose the Enhanced Afternoon Tea. 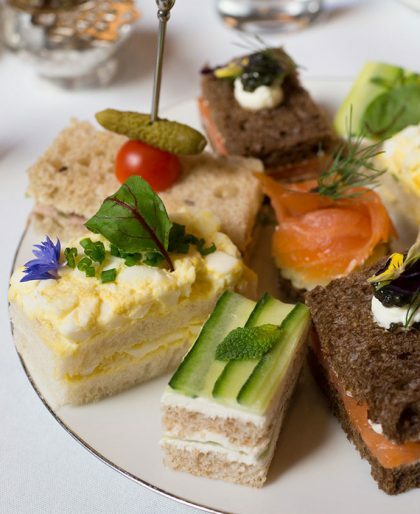 If you just want tea, order the regular seasonal Afternoon Tea. Next, decide on which tea you would like to drink. There is a tea menu listed, you can choose from there. When the server arrives, order by letting him or her know which afternoon tea you would like and the name of the tea you have selected. If you have any food allergies, make sure to let the server know, even if you mentioned it when making your reservation. After the order is taken, the tea will arrive first to the table, then followed by a three-tier tray with the savories. Finish eating the tea sandwiches and the server will take the three-tiered tray away and return with the next course of scones. Scones will be served with clotted cream and preserves. After the scone course is done, the sweets will arrive on another three-tiered tray. This is the last and final course. 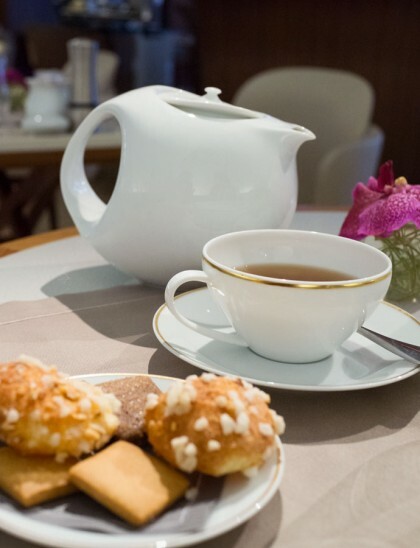 Go earlier than later for afternoon tea if you don’t want to feel rushed at the end of tea service. Afternoon tea is served in the Star Lounge at The Ritz-Carlton New York, Central Park where there is a mix of dining tables with armchairs and low tables with plush sofas. 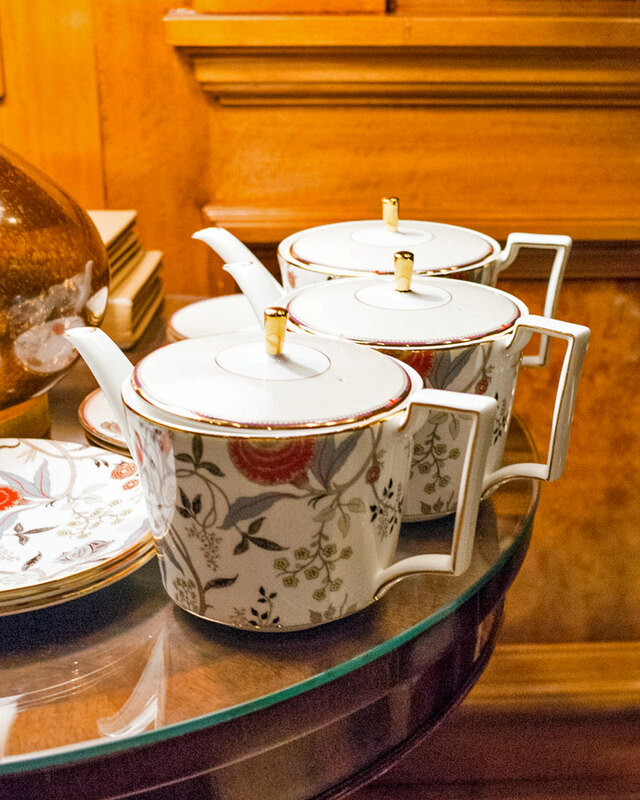 Tea is served on the handful of dining tables in the lounge. With its low lighting and plush seating, the Star Lounge feels like a fancy, cozy urban escape, albeit a slightly stuffy one. Service was very good but I took off a star since I did feel rushed toward the end when my friends and I were chatting over tea. All teas are blends created for Ritz-Carlton New York and they all sounded great — I had a hard time nailing it down to just one. I had the The Ritz-Carlton Spring Blend which was delightful and perfectly steeped. I did take off one star since I do like to see whole leaf tea options as well as the tea blends. One thing I love about having afternoon tea here is that they pour the tea for you every single time and they always seem to know when it needs to be topped off. Teapots are placed at a nearby table and the server will do all the pouring. The savories here are excellent. Every single bite was delicious — their tea sandwich game is strong. If forced to choose, the lobster and caviar roll was my favorite. The above picture of the savories is for two people — you get five savories per person, which is the perfect amount. Scones are served separately after the savories and arrive warm in a basket. There are a couple of selections (plain and fruit) and I chose the fruit. Their scones are too big for my liking, but they were tasty. 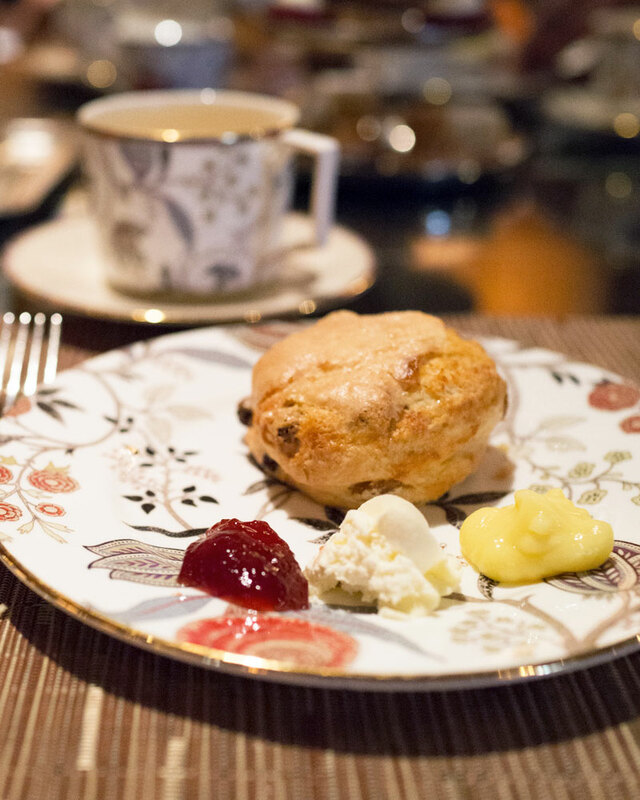 Scones are served with berry preserve, lemon curd, and Devonshire cream. A three-tiered tray of sweets came out next. The one shown is for three people. Six sweets per person, which is generous. They were good, the eclair with a matcha cream filling being my favorite. I loved the presentation with all sweets perfectly sized. The savories are a highlight, along with never having to pour the tea yourself. It’s definitely worth a visit. The afternoon tea in the Star Lounge has evolved a bit through the years. Back in 2012, the afternoon tea was $55, one of the more expensive tea services in the city. The room has the exact same look and feel with the same color scheme although the chairs and couches have been updated slightly. Savories course on a three-tiered tray. They were delicious but it looks a lot more put together now. 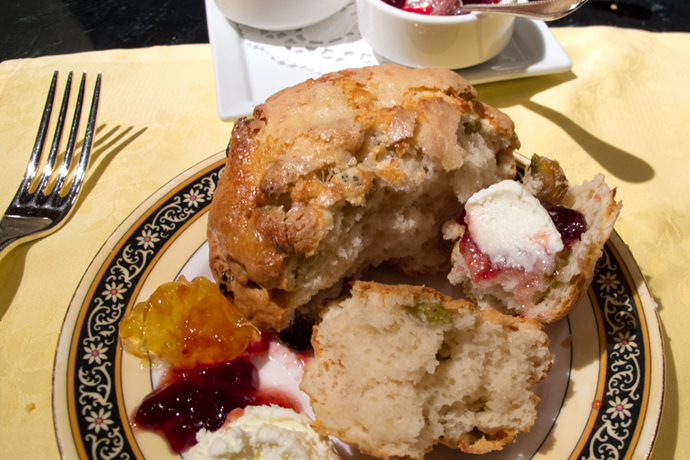 Check out the GIANT scone — it’s spilling over the plate. Above is the sweets course which I wished were a bit more dainty and cute — which it is now. Lovely detail, great post!! I saw Share charge $20 on their menu, my husband is not in to this, but he’s with me … any advise? Thanks! Hi Tiffany, hmmm, see if you can get afternoon tea for one while he gets something else to eat off the menu so that you don’t have to share or incur the share charge.